Mix all ingredients except shrimp in small bowl. 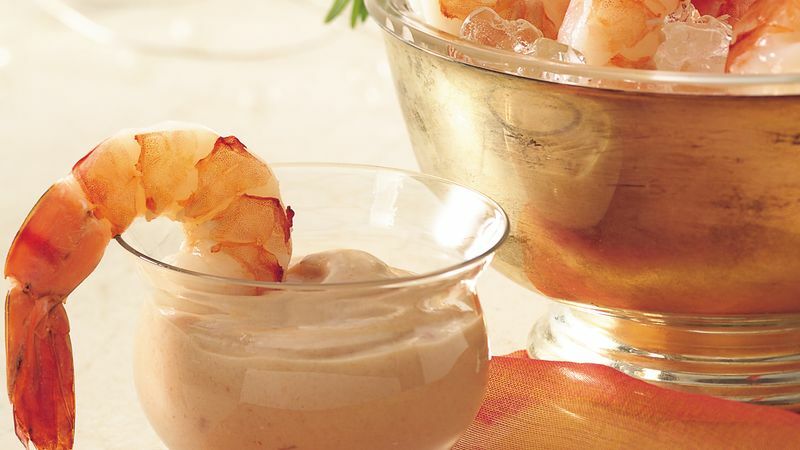 Serve sauce as dip for shrimp. For easy eating, pierce the shrimp with frilly toothpicks, or make toothpicks available to those who want them. Purchase already-cooked peeled shrimp. They are available at the seafood counter or frozen in packages. Tuck a few sprigs of fresh rosemary and lemon slices into a serving bowl filled with ice.